The North Reading Youth Soccer program is only successful because of the many volunteers who dedicate their time to assist. There are many different volunteer roles and some of the most important roles are coaches. No prior experience is necessary only a desire to have fun. 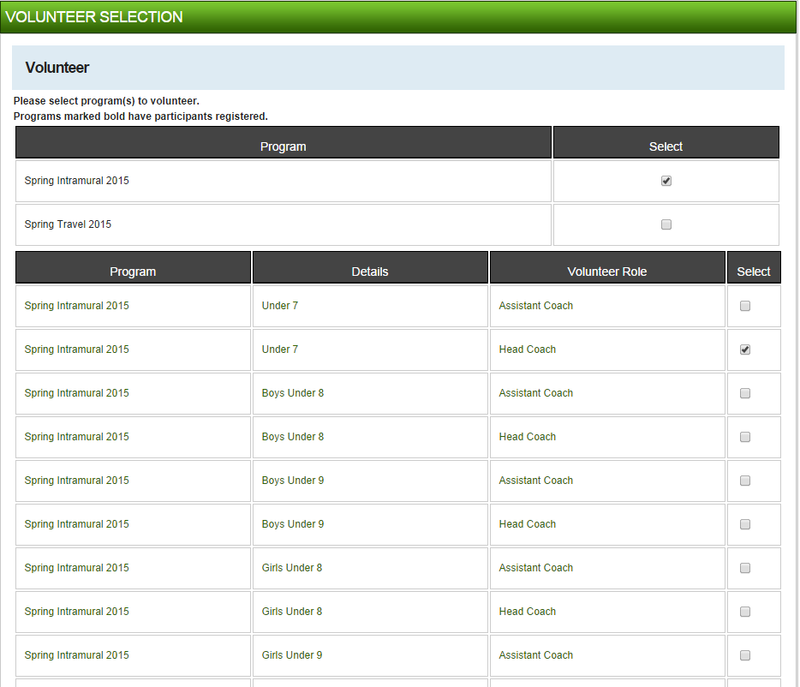 To sign up to be a coach or assistant coach you'll need to update your account with your volunteer availability. Access your account information by selecting My Account in the upper right hand corner of the page. Click on the tab for Volunteer to access the volunteer page. 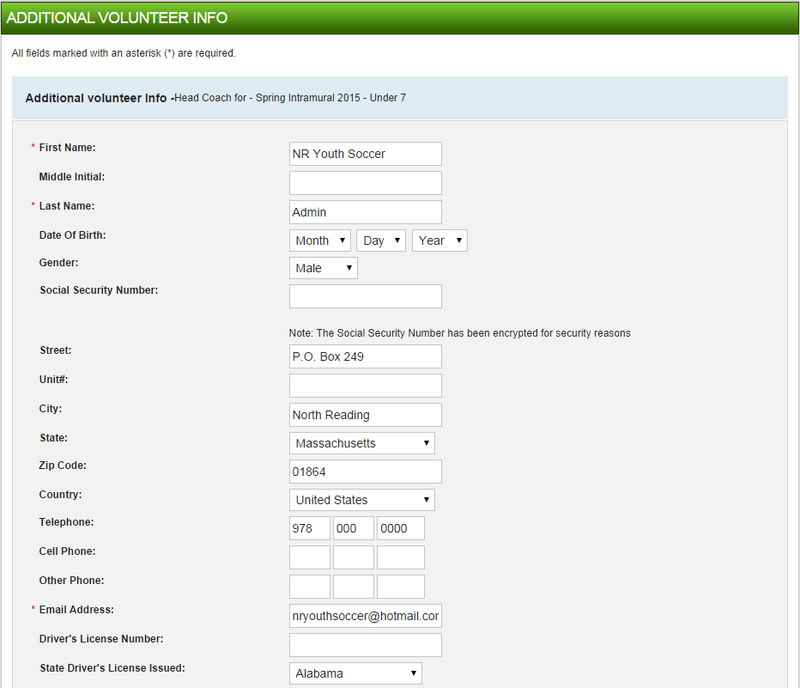 Select the program, the division and the role you are volunteering for. For Example, Spring Intramural 2015- Under 7 - Head Coach. 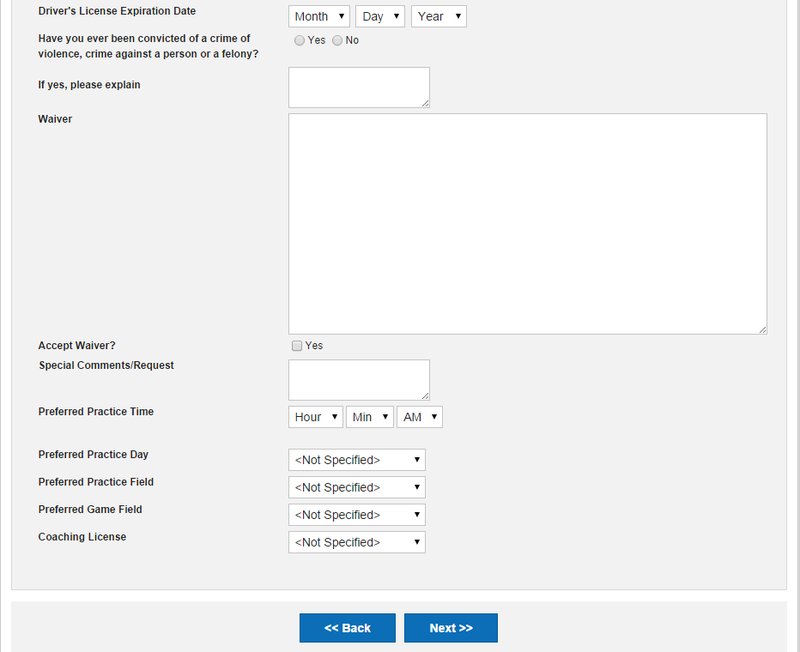 Complete all the required fields (*) and click Next to complete the registration. Congratulations you are now signed up to volunteer as a coach. Thank you for your dedication, time and effort.